If you are looking out for an exceptional event, with activities designed to absolutely surprise and impress participants, then you’ve come to the right place. In Món d’Aventura we have all the necessary resources and, above all, experience, equipment and the best contacts for holding upscale events outdoor. 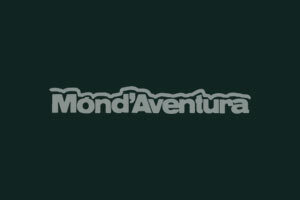 In Món d’Aventura we guarantee that your adventure day will remain unforgettable for all participants. Depending on your budget, time of year and the size of the group, your program is especially suited to your requirements. Our experienced professional team of specialists for group events and corporate incentives create and continuously update our quality programs with new products and ideas. The proposal of Món d’Aventura is based on a participatory event to foster personal relationships and encourage team spirit in the company. We will challenge participants to get overcome a number of challenges and achieve together the ultimate goal. We will do activities where adventure, culture, imagination, surprise, creativity and fun raw. We will get to live emotions we had never experienced, we will have a fun day, release stress and the adrenaline to the max! Unique experiences in unfamiliar territories which will awake us all senses. The Team Building day with Món d’Aventura will be an unforgettable experience for all participants! Request your special program, fully adapted to your needs and preferences.